We offer custom designed VIP Private Tour in most seasons to best suit your team More. We offer Economy Tour to reduce the cost of travel to Mount Damavand Iran. More. 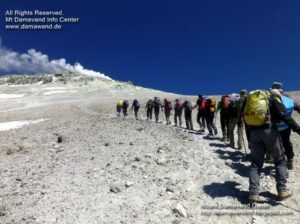 Mount Damavand is a favorite target for hiking & trekking in summer season More. 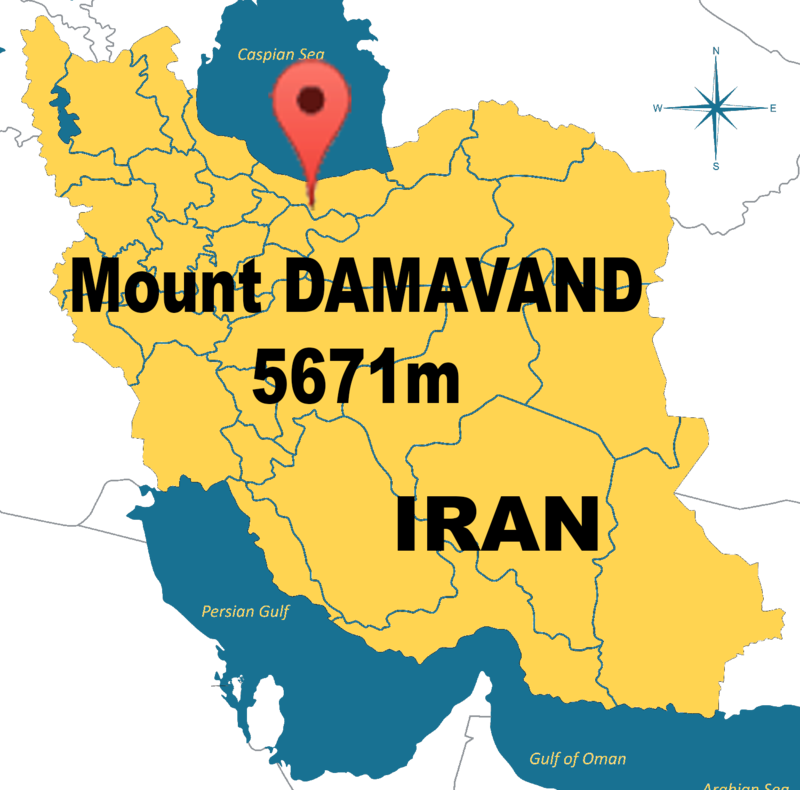 Damavand is the most recognized character of Iran near the southern shore of the Caspian Sea, the largest lake on Earth. It has a little summit crater with snow top which included by various dazzling zeniths of the Alborz Mountain Range. 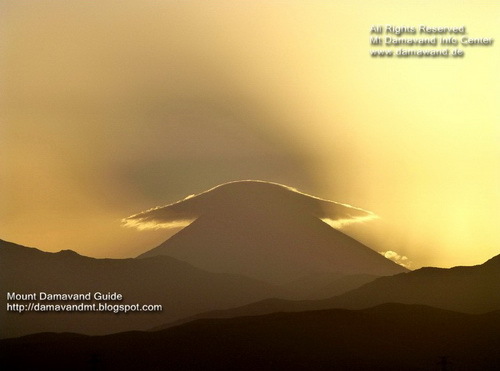 Mount Damavand 5671 masl, is noticeable far from 250 km in a reasonable sky. It is located about 70 km north east of metropolitan Tehran in Mazandaran Province, Iran. Because of its great height, the view from Damavand peak is greatly expansive, a noteworthy scene of mountains and valley covering various hundred of square Kilometers. Around the mountain are distinctive apexes of the Alborz Mountains, in the north to the Caspian Sea, the largest enclosed inland body of water on Earth, and in the south to the deserts of Iran. 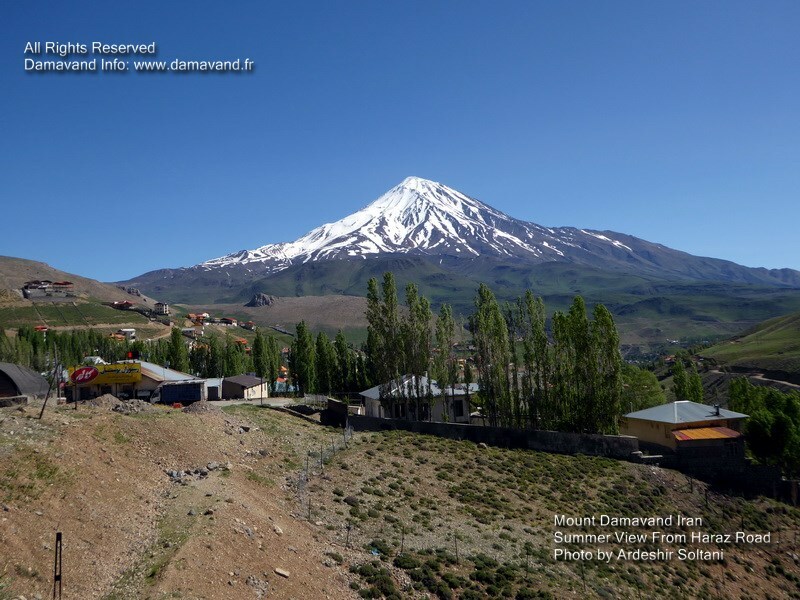 Damavand is the most significant zenith of Iran and Middle East. Trek Mount Damavand Iran Trekking Mount Damavand the highest and the most prominent peak of Persia is unforgettable and a life time memory. The experience of hiking to this great summit with a team of trekkers from the world is exceptionally fulfilling. Before attempting this huge mountain you better read the fundamental data for ascending this gigantic mountain. 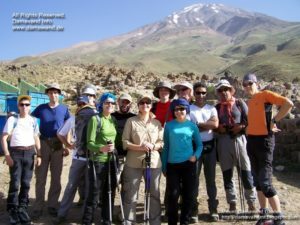 In our Damavand Forum you can locate the most Frequently Asked Questions and the most widely recognized answers about trekking Damawand. 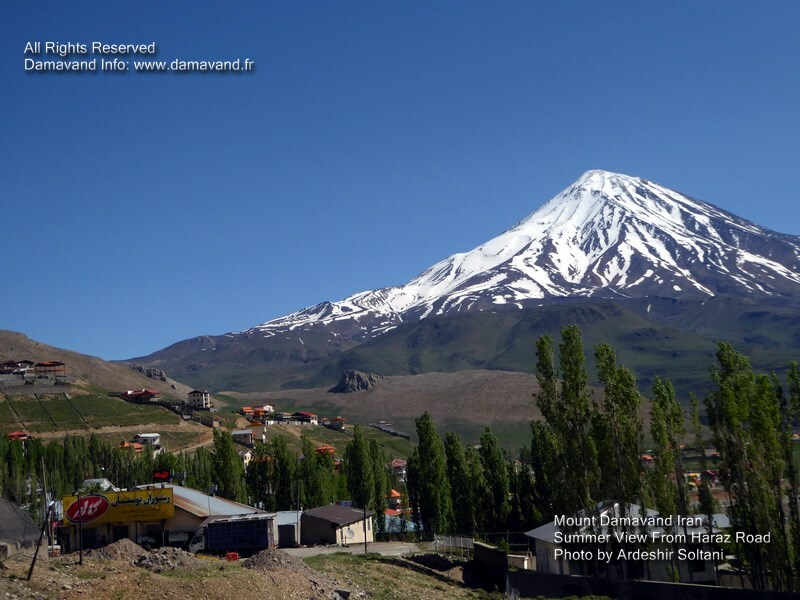 Hiking season for Damavand begins from mid-June and it is to mid September. The best of the trekking period is in July and August. In this period the pathways are free of ice & snow, the climate is generally moderate. More detail Damavand Timing. In spite of the fact that the campsites are crowded in summer, however the beginners are firmly prescribed to try the mountain only in summer season . Best beginning day is Saturday. Note: Weekend in Iran is Thursday/Friday. Best Source of Information for Mt Damavand Iran Recommended by Lonelyplanet – Iran (printed English guide book 6th edtion 2012 – page 73): Tow excellent source of information on all things Damavand: Damavand Info: (our website) and Mount Damavand Guide: (our weblog). 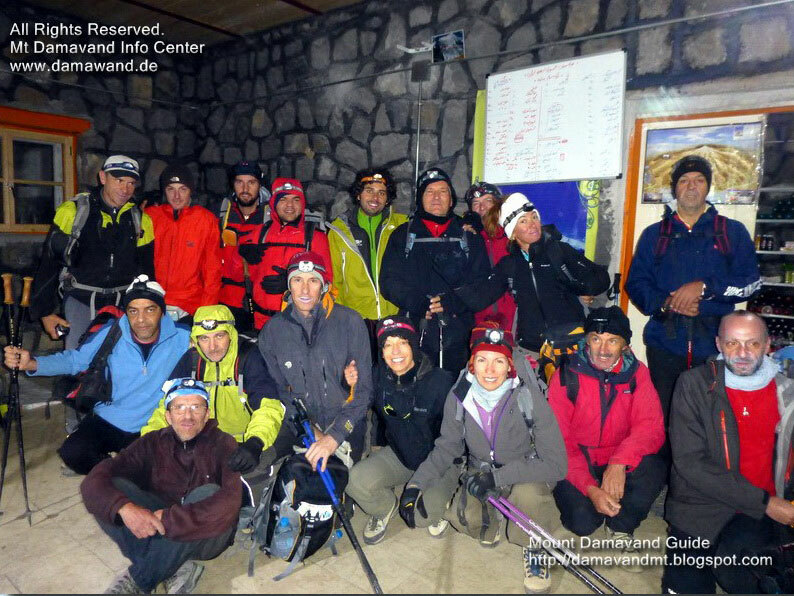 The official website of Mount Damavand Guides Iran. Best sours of info for Damavand trekking tour. 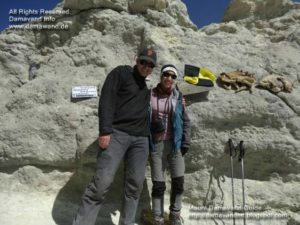 Hiking & trekking and ski touring Damavand in 2019. Ski tour Damawand, ski and snowboard 2020. Trek to Elborz and Zagross Ranges. Wide range of hiking & trekking tours to Iran mountains. Crossing from south to north of the Alborz Mountains. Best competitive price for Damavand tours in 2019. Qualified guiding teams to support incoming groups. Damavand economy and private tours. Eco tour guide and mountain climbing guide. Ski touring to Alborz and Zagros mountain ranges.